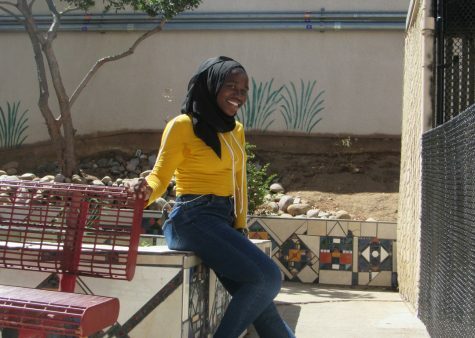 Machair Ahmat Adam is currently a 15-year-old sophomore who attends Hoover High School. She is considerate and understanding and believes everyone should be given a second chance because people are capable of changing. Her favorite subjects are science and math. She is in the health academy and the FACES for the Future program. She enjoys running, and soccer. She plays for the Hoover soccer team and runs both cross country and track and field. When she is not running or playing sports she enjoys reading, sleeping, and watching Netflix. She was born on January 1, 2003. She has four sisters and two brothers, and she is the youngest. She enjoys listening to music and she is very active. She is eager to graduate high school. She wants to attend a four-year university. She is from Georgia and moved to California six years ago.